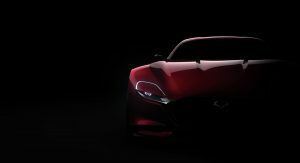 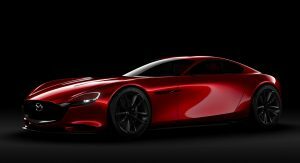 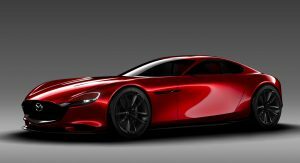 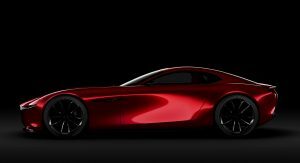 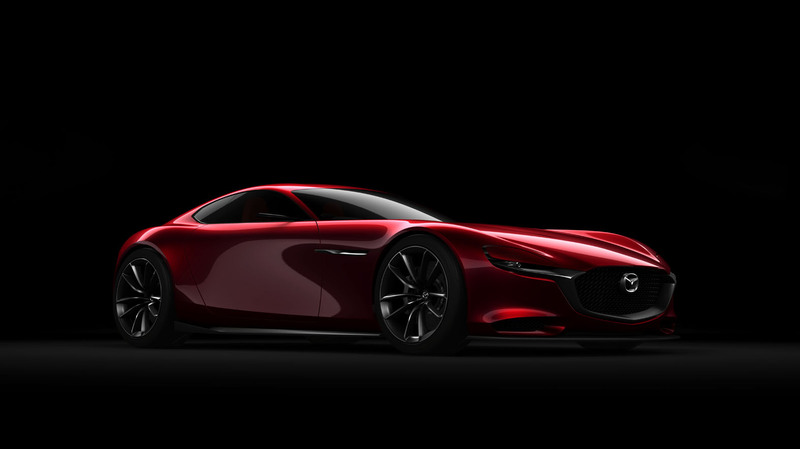 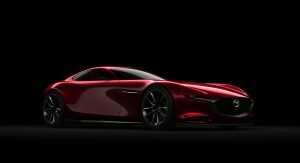 Mazda is taking a glimpse into the future of its RX sports car family with the RX-VISION Concept at the Tokyo Motor Show. 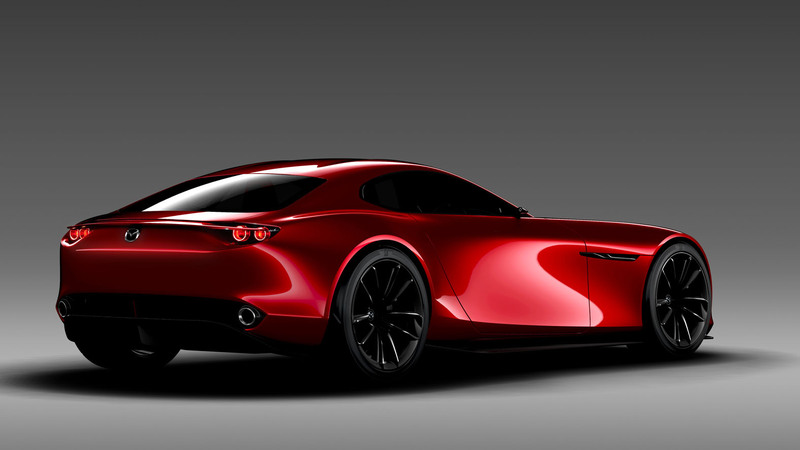 A modern-day RX-7, you say? 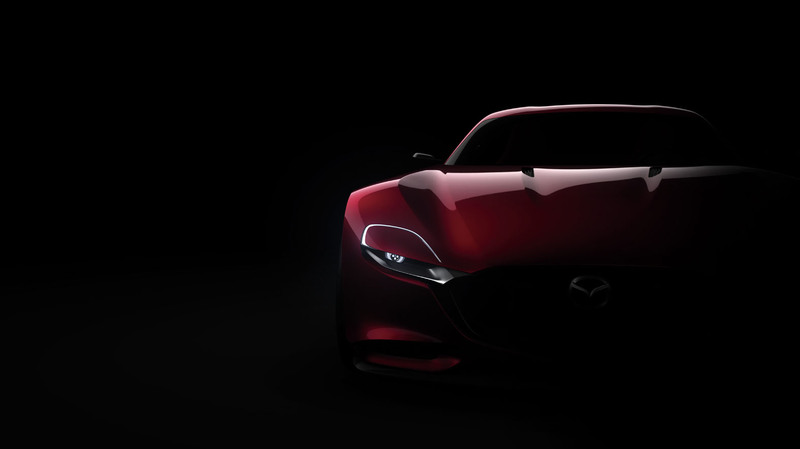 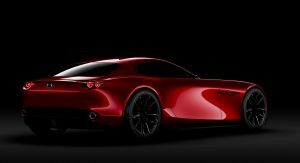 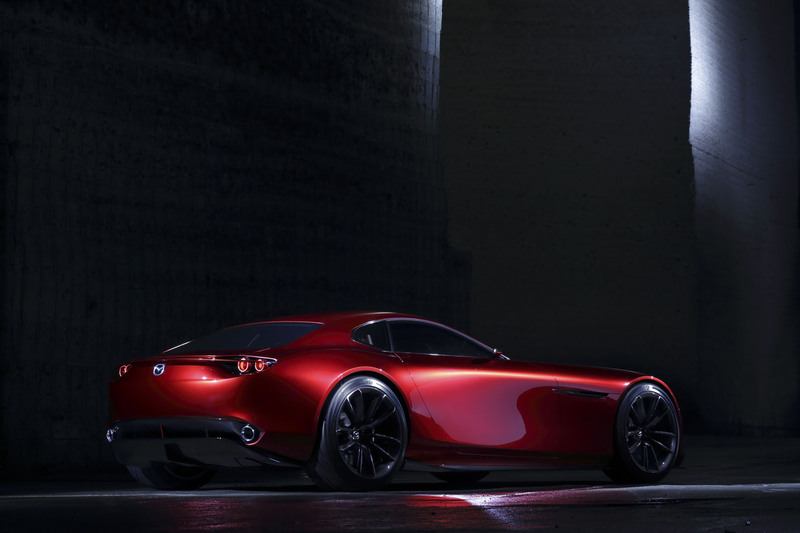 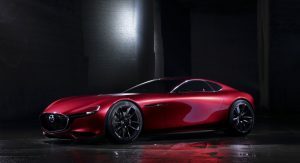 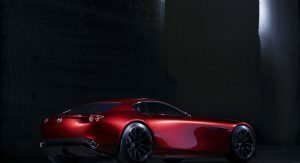 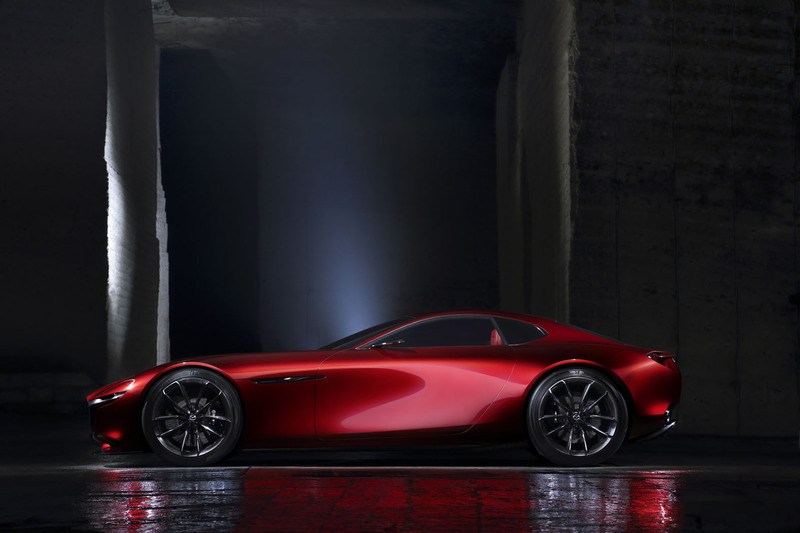 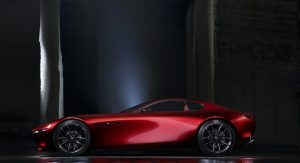 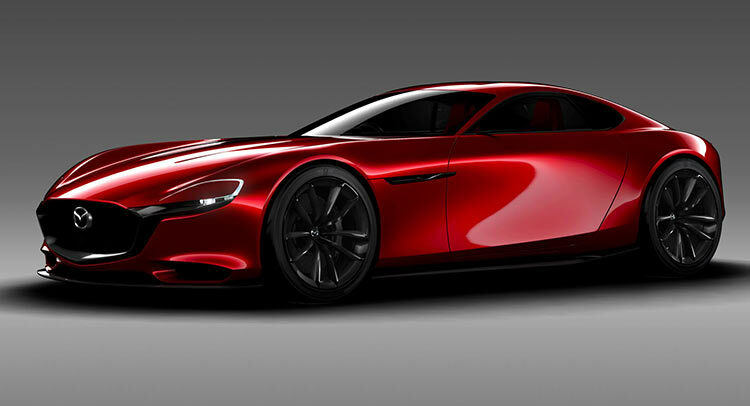 Well, that’s what we think too, but for now, it’s just a concept and nothing more with the Japanese brand stating that it “represents a vision of the future that Mazda hopes to one day make into reality; a front-engine, rear-wheel drive sports car” with “KODO design-based proportions” that’s powered by the next-generation SKYACTIV-R rotary engine”. 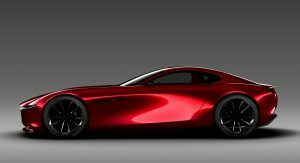 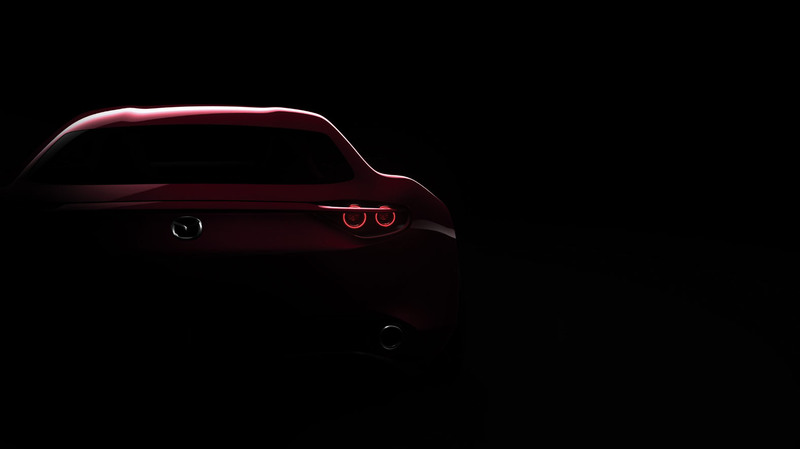 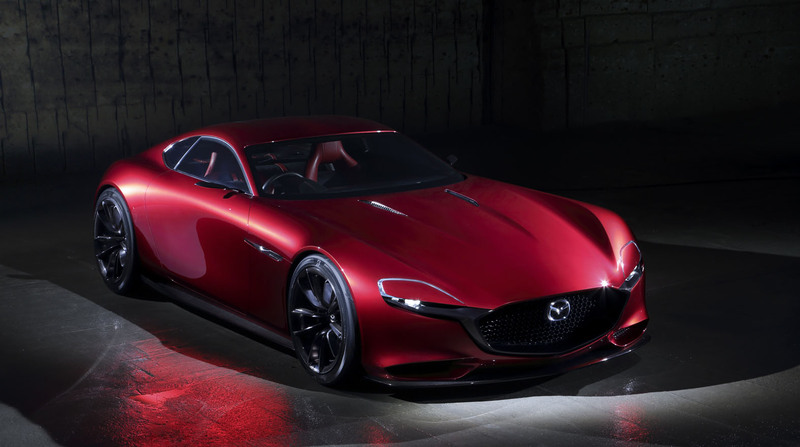 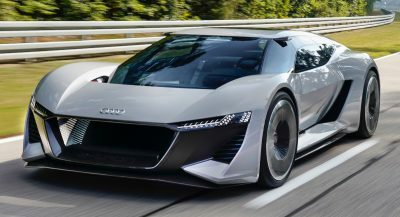 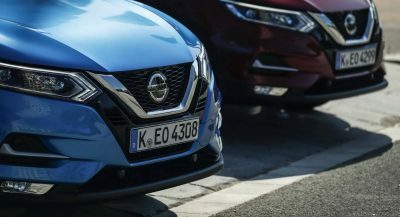 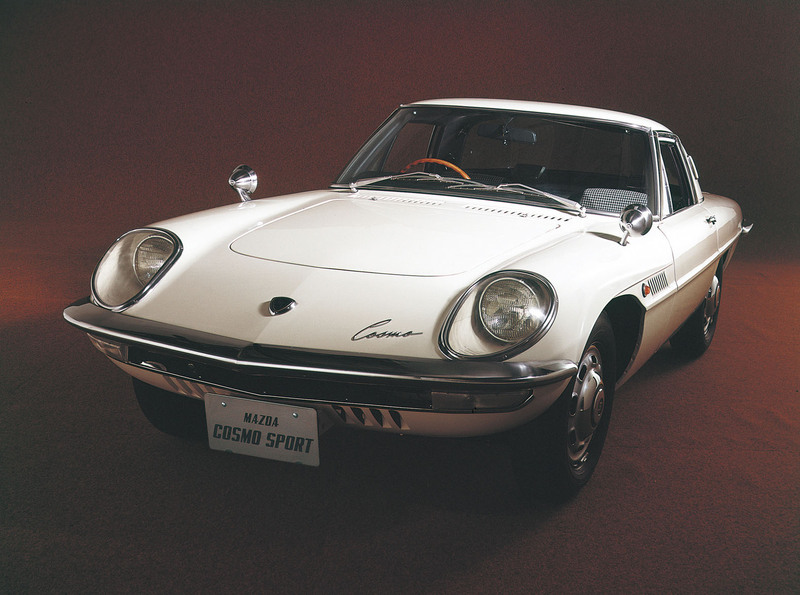 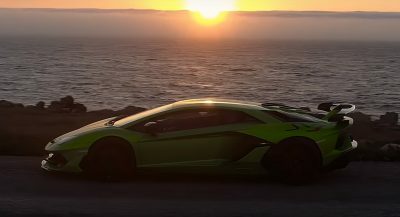 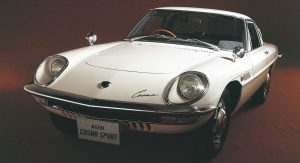 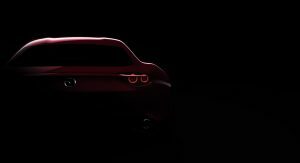 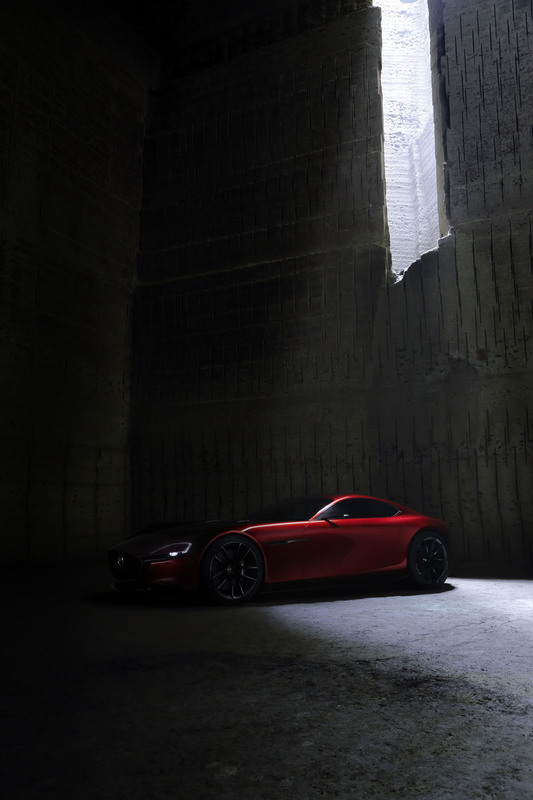 It’s a striking looking car with a protracted hood, a stubby rear and very short overhangs that measures 4,389mm long, 1,925mm wide and 1,160mm tall with a wheelbase of 2,700mm, making it shorter, wider and lower than Mazda’s last rotary-powered model, the RX-8. 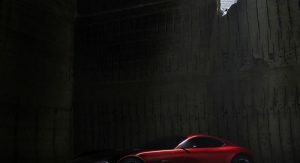 A set of 20-inch black wheels on 245/40R20 and 285/35R20 tires front and rear respectively further enhance its stance. 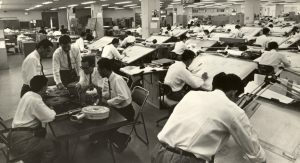 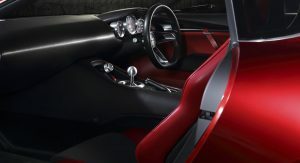 The interior of the RX-VISION is kept simple with a few retro hints like the deep steering wheel and the analogue instrument dials, ditching most amenities we’ve come to expect from, pretty much, any car these days, to save weight, going as far as replacing the door handles with leather straps. 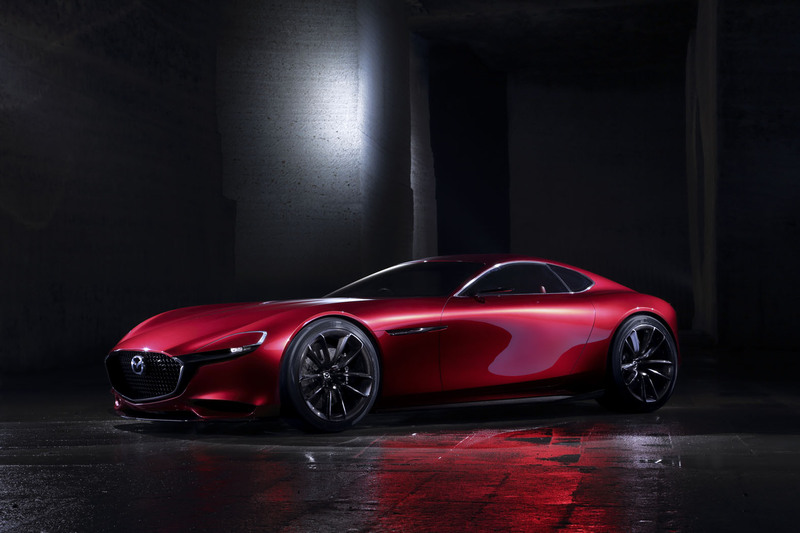 At the heart of the study lies Mazda’s next-generation rotary engine SKYACTIV-R, about which, the Japanese carmaker didn’t really share much other than to say that, while it’s…not ready for mass production yet, it expresses “the company’s determination to take on challenges with convention-defying aspirations and the latest technology” leaving us with a bitter-sweet taste.